I first became acquainted with the non-alcoholic meaning of the word when I was bautizado (baptized) “Mimosa” by Mestre Samurai, my Capoeira instructor. Capoeira is an Afro-Brazilian dance-martial art performed to music that was developed by African slaves brought to Brazil, allowing them to practice martial arts, self-defense, and all-around body toning and flexibility right under the noses of their European oppressors. 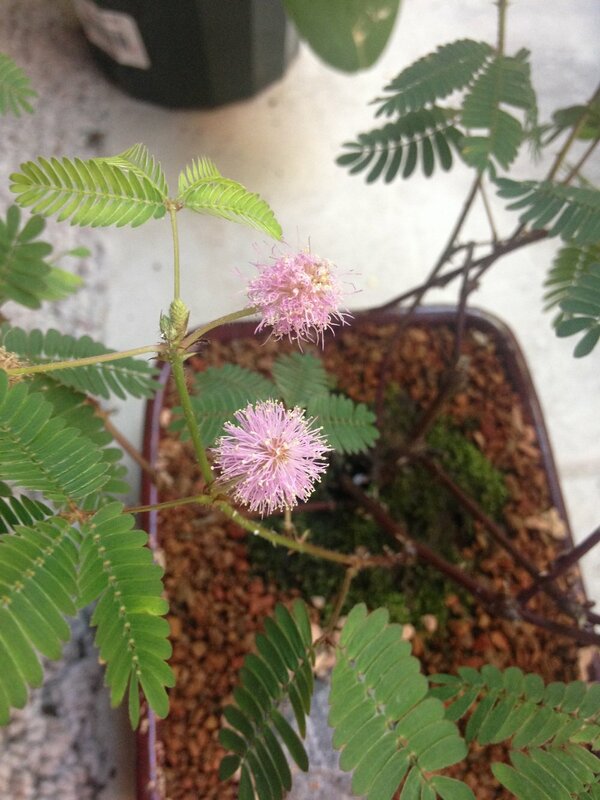 Mimosa, or silk tree, has its origins in China and has been spread all over the world. Brazil, for example, is home to a type of mimosa. The delicate, beautiful silk flowers may be the influence for the term in Brazilian portugûes, which is used as a term of endearment for a sweet girl. It is also the Brazilian equivalent of “Bessie,” which Brazilian farmers call their beloved cows. 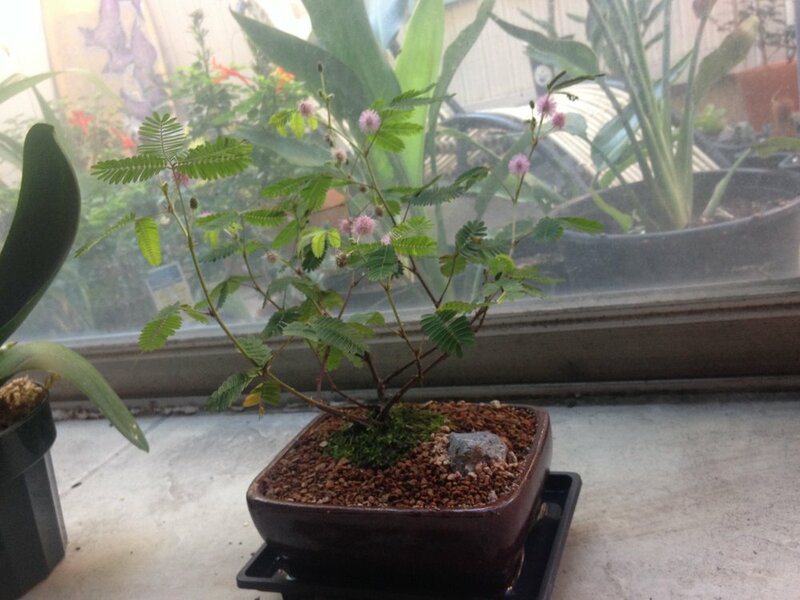 According to Global Healing Center (http://www.globalhealingcenter.com/natural-health/health-benefits-of-the-mimosa-tree/), the bark, flowers and leaves of the tree have long been used both in Traditional Chinese Medicine (TCM) as well as by peoples of Central America for its health benefits. Healing properties included improving mood, aiding in healing of trauma or burns, toothache, skin disorders, colds and cough and aiding in the coagulation of blood, or the cessation of bleeding. It has also been used to boost immunity. I was so excited to see a bonsai version of the tree I couldn’t stop myself from ordering one from an Etsy store. 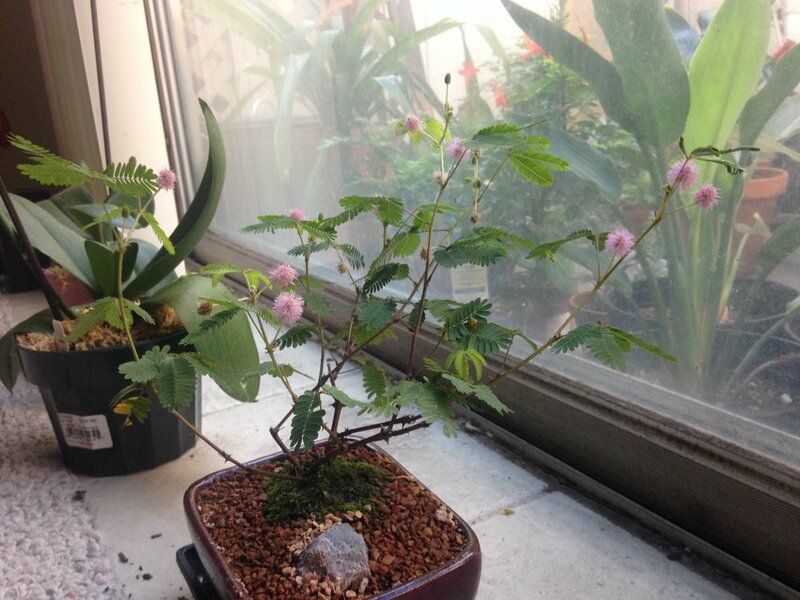 The Mimosa adds a beautiful, unique element of beauty to my green-friendly home. I love it!